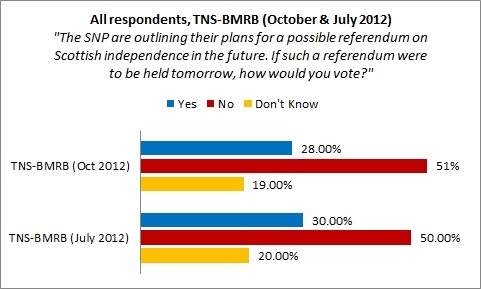 "The SNP are outlining their plans for a possible referendum on Scottish independence in the future. If such a referendum were to be held tomorrow, how would you vote?". "... that the Scottish Government should negotiate a settlement with the Government of the United Kingdom so that Scotland becomes an independent state." The ghost of devo-something is proving difficult to put to rest, too. The pollster has poses a fourfold question on "the future of Scotland" asking which of the following constitutional options they most favour, roughly along the lines of status quo or devo-max, independence or indecision. "Keeping the current arrangement of a Scottish Parliament with its existing powers". "Transfer more powers from Westminster to the Scottish Parliament, including tax and welfare but excluding defence and foreign affairs". 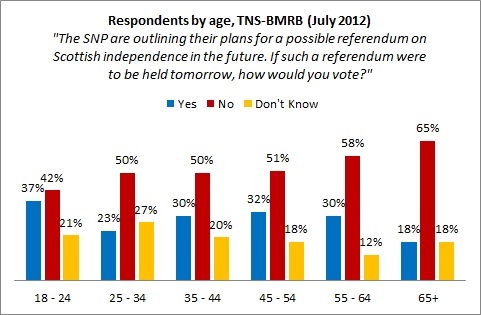 In other preliminaries, despite the (still unconfirmed) scuttlebutt that those over the age of sixteen come 2014 will be able to vote in the referendum, TNS-BMRB's respondents are all over eighteen years of age. Moreover, the figures given are for all respondents, and do not factor in, for example, likelihood to vote. So what did they uncover, and what changes, if any, can be seen in the futures since July? 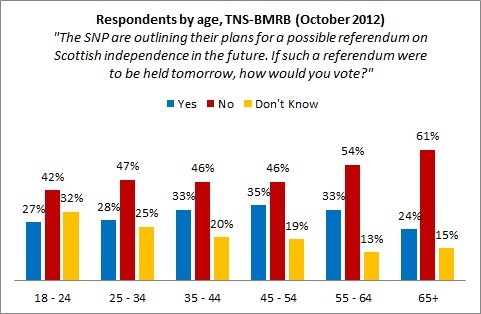 Let's take a look at the topline figures on independence first. What about our old friend, the gender gap? 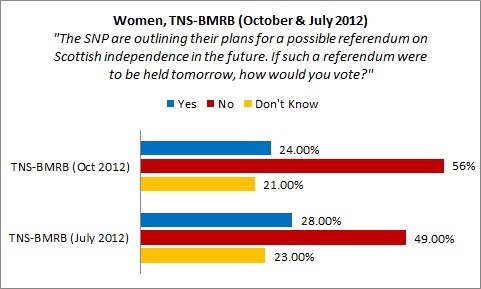 It's more or less steady as she goes on that score, though October's gap of eight percentage points is smaller than some of the figures we've seen this year, though unleavened by the fact that, overall, support for independence is at best, holding steady at just shy of a third of respondents questioned. TNS-BMRB also divide their respondents up using the AB, C1, C2 and DE social gradings, which are based on the occupation of the "head of household", hoping (though obviously, not unproblematically) to capture the "upper and middle classes (AB), lower middle class (C1), skilled working class (C2) and the working class and those at the lowest levels of subsistence (DE). 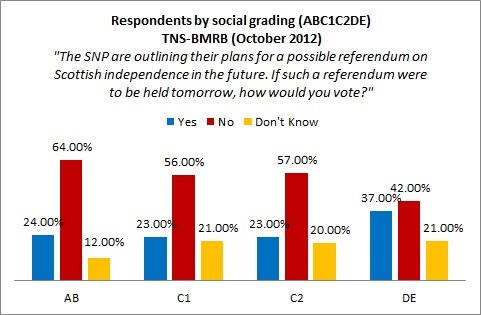 I really want these polls to keep telling Brewer and his pet Prof Curtice right up to referendum day 2014 that only 25-30% of Scottish voters are likely to vote for independence. The sight of their faces as the results come rolling in and the vote soars to over 60% for independence will be worth every second we have had to endure the babbling madness that BBC Scotland has now become. I now cannot watch Newsnicht or listen to any political radio programme from this state propaganda orifice. Kenny McQuarrie should hang his head in shame. As a result the quality of my life has soared. I refuse to click on the Newspapers on line, and I have stopped my DD for the licence fee. I feel completely liberated. I am prepared to serve time if the state decides to put me in the dock for licence fee evasion. Curtice and Brewer were left sooking lemons after last years elections in which they bared their gums at each other as they declared a late poll showing the SNP surge as a "rogue poll." Brewer has looked as if he has been dooking for chips ever since that day. You could close your eyes and stick your fingers in your ears. I believe shouting "NANANANANANANANA ahcannae hear ye" also works. Seems to me that the changes are all within the range of the usual margin of error. As you say, although there's been a little movement here and there, overall, very much a "steady as she goes" independence poll this. 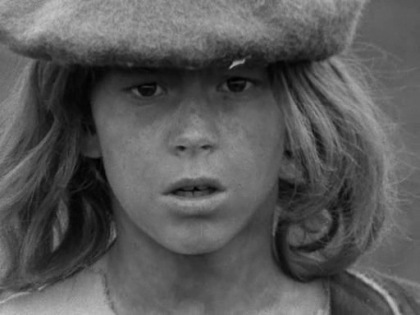 Braveheart. Having read your blog on the successful independence march on the 22nd September. And this hysterical comment. "Never tried it myself, prefering to face the facts, but there you go...." I have only this advice, be sure and wash your fingers thoroughly when you are done. You are one sad heart, no bravery in evidence. It is people such as you who kept Scotland on it's knees, thanks be to God your time has past. Are you the ghost writer for Lamonts new novel? 50 Shades of Red. Over 12,000 bravehearts. Lets see the Conservative Unionists No To Scotland mob do that. KBW, to return to the poll: I can see why it upsets you, with a solid 50%+ in favour of keeping things as they are, but that's not my fault, so there's no need to get personal. As for my blog about my day out in Edinburgh: that's what it is. It was a nice day weather-wise, Edinburgh was lovely, I walked the town and visited a few art exhibitions and so no sign of the Nationalist march and rally, because it was a damp squib. That's not my fault either. I don't know much about polls, but what I was wondering is, does anyone know what percentage of the population is in each group, e.g. 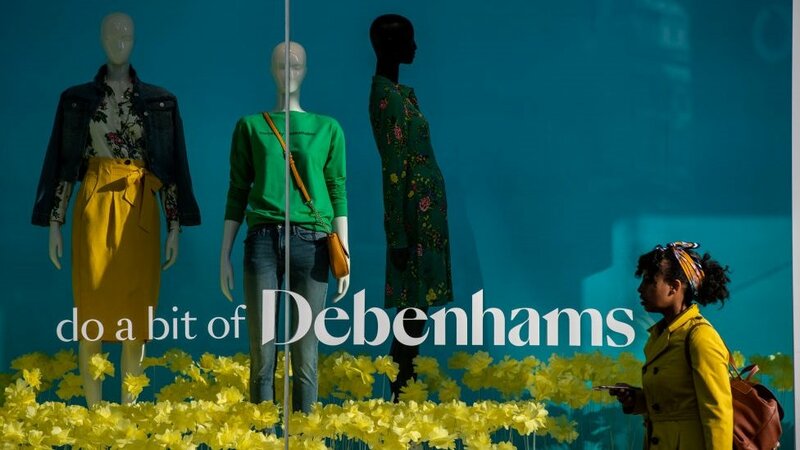 are there three times as many DEs than C1s, for example. I understand that the DEs are less likely to vote, but I'm not sure to what extent. I find it hard to understand these polls without an understanding of the approximate percentage of the population in each group. If the best off are likely to vote "No", but there actually aren't all that many of them in comparison to the groups that are likely to vote "yes", do the polls already take account of this? I only ask because on the ground, my experience is that people intend to vote "yes". I found the same thing before the 2011 elections - completely at odds with the polls. You have the stench of troll about you. But I'll give you this one response. It is foolish in the extreme to talk about a "solid 50%+" in favour of the status quo when we know from other polls that most of that number have actually rejected the current settlement as unacceptable. Those whose preference would have been some form of further devolution are included in that "50%+". And they are far from "solid" supporters of the union. Were you not content to settle for the shallow analysis in which you find comforting affirmation of your prejudices you might think to ask what these people are likely to do when offered a choice between something that is more than they actually want and something which is, at the very best, the complete opposite of what they want. And quite likely much worse than that. To whatever extent you are capable, try to imagine how someone who favours more devolution might respond to an option which almost certainly implies a rolling back of devolution. These people are not AGAINST independence. They are simply not wholly persuaded of it. 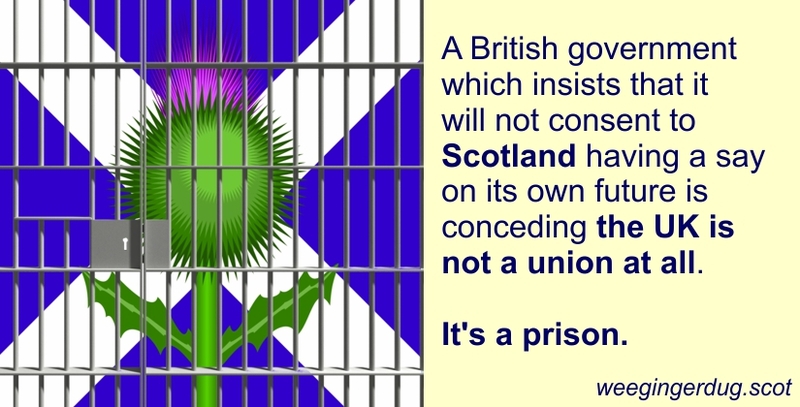 But they are absolutely opposed to diluting the existing powers of the Scottish Parliament. And daily more and more of them are coming to realise that this is precisely what a NO vote will mean. Good question. For the UK as a whole in 2010, the NRS suggests that the population so classified breaks down into the following percentages: A (4%) B (22%) C1 (29%) C2 (21%) D (15%) and E (8%). Ipsos-MORI have this wee introductory piece on their site, which interestingly includes population breakdowns as they have changed since 1968. For myself, I wouldn't be too uncritical of these sort of categories, and how far was ought to use them in coming to nuanced understandings of how the independence debate is going in different parts of the community. To harp on just on string, the complex phenomenon is class is clearly related to socio-economic status and employment, but it is a crude sort of calculus that would reduce class to whether or not Paw Broon has undertaken a bourgeois career. Nevertheless, they are not without a sort of rough and ready interest, for all that. Peter, it's so nice of you to give me even one response even though there's the stench of troll about me. You're a true gent. Really appreciate it. To your point: in a straight yes/no, in/out referendum, which is what the SNP has a mandate for and has been campaigning for for nearly 80 years, independence loses. That's the point of the polls and that's what KBW is in denial about. Some people may want, when offered in a theoretical question, "devo max" or more powers. But "devo max", even for those who want it, is not well defined and for most it isn't a top priority. If you say to people "do you want more powers? ", a lot will say "Aye aw right", but if not offered it's not a worry to them. It's not a priority (just as independence" isn't a priority for most people either, but that's another argument), it doesn't really bother them one way or the other if not on offer. So, the poll is accurate. Your lot might want to work on the undecideds and make the case for devo max, that's up to you, but it's not a persuasive argument, IMO. As for a no vote leading to a dilution of devolved powers: there's no evidence of that that I've seen. Of course, if the people want it, it'll happen, but nobody's campaigning for it. Unless you are, but why would you? That's funny. I could have sworn I took the bus to Edinburgh on 22nd September. I could have sworn I joined rather a lot of people and some flags in the Meadows, and walked with these people to Princes Street Gardens. I could have sworn the Ross auditorium was crowded significantly beyond its nominal capacity of 3,000 people - some estimated at least double. Plus at least half as many forced to view from outside. Actually, I have a bunch of photos in my camera that suggest I did that too. I have seen a bunch of photos on the internet showing the same thing, but mostly better composed. I've seen two videos showing the march going past, that take at least 45 minutes to run. But then Edinburgh is a city. A small city in international terms, but still a city. If you didn't go to the Meadows from 11 till 12, or the march route from 12 till 1, or the Ross bandstand from 1 till whenever, of course you would have seen nothing. If you did go to these places, and saw nothing, you need to see an optician. As a matter of urgency. 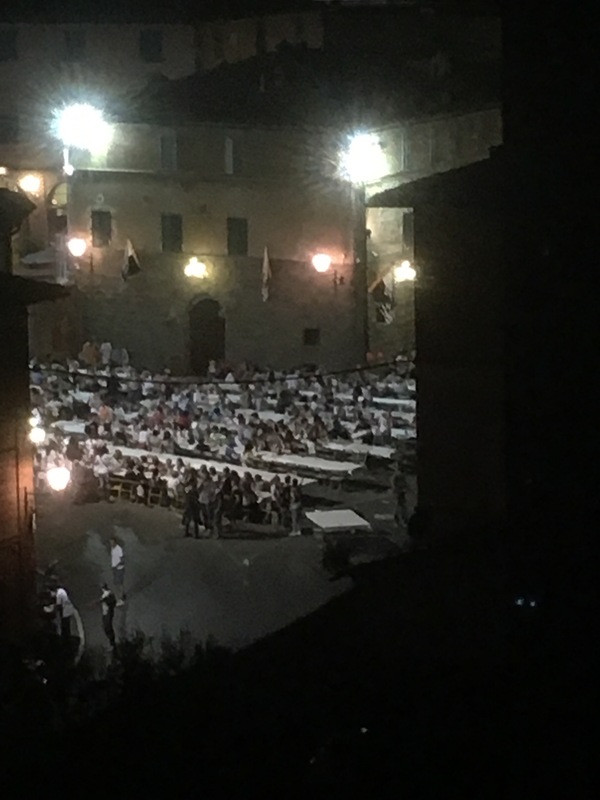 And if you think 5,000 or even twice that is a big number for such an event when the Catalonians had 1.5million a few days before, that's your lookout. Everyone, of course, likes to put their own best possible spin on polls, but I suspect that nationalists would prefer that they were on 50 or so percent, while unionists were struggling to reach 30. 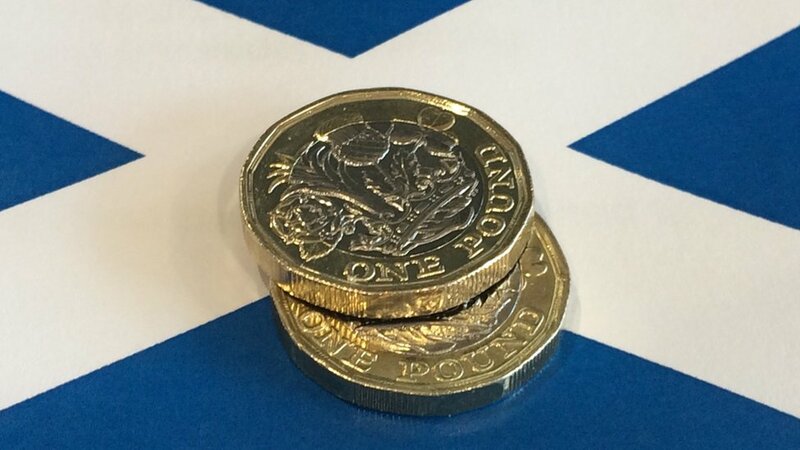 More importantly the bookies also make independence the rank outsider of a two horse race. For Scotland to achieve independence there would need to be a change in mood from the present disinterestedness to something like what is occurring in Catalonia. Most people I meet barely give the referendum a thought. 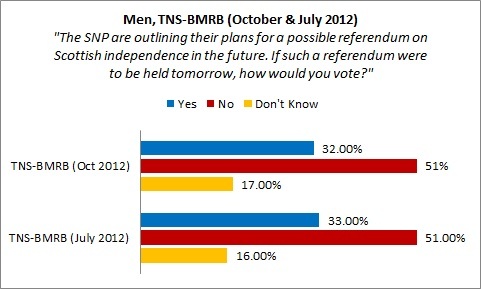 Even SNP supporters say that they’d quite like independence, but they’re not that much bothered either way. If Westminster were refusing to allow Scotland to have a referendum, you might have some justification for comparing Barcelona, but they're not. Plus the Barcelona thing was a well-publicised annual event. The organisers actually had people with clickers counting, and they say there were 9,500 people there. I would tend to concur. There were certainly many more than had been anticipated or planned for, that was extremely obvious. The police merely glanced around and took a guess. Possibly "informed" by the fact that they had only fielded enough personnel to cope with 5,000, and that if they'd admitted to the larger number some awkward questions might have been asked about the number of people inside the fenced enclosure of the Ross bandstand (which has no crush barriers), only the week after the Hillsborough report was published. As RevStu commented beforehand, no turnout number will be enough for the unionists. Which is true. It was a nice day out and we'll do it again. The interesting thing is the apparent need to spin the largest pro-independence rally there has ever been in Scotland (by quite a margin), a rally only exceeded in size by a few in the past for any cause (and then mainly things people were absolutely blazing mad about like the Poll Tax), a rally where the turnout vastly exceeded the organisers' expectations, as some sort of dismal disappointment. Maybe you need a different hobby. Ah, "Braveheart". I see your problem. You were seeking "gangs of woad encrusted warriors and boisterous tartan army refugees" and so on. Indeed there were few of these. I think you need to update your ideas a bit. Rolfe, woad encrusted or not, I saw no-one. I saw more Hibees in green and white on Princes Street, 1.5 miles from Easter Road, than Nats in any guise at all. Anyways. You and KBW and Peter keep whistling in the dark that 50%+ against independence isn't really bad news and the devo-maxers will all suddenly change position and vote for independence and (KBW's position) not reading newspapers will make the facts go away and 9,500 people on a tiny march is a sign that next year millions will vote to overturn the existing constitution. As I said above, I prefer facts, they're cheils that winna ding, and that suits me. If you prefer facts how about the fact that the referendum is not next year but 2014. The point of the argument that devo-max supporters will vote pro-independence is that as a voting group they essentially support change in the direction of *more powers*. Given a referendum where the only choice for more change is independence and the evidence shows that no aspect of the British state is in any way poised to give more powers to the Scottish Parliament in the next generation, those voters will be more inclined to vote for the more powers option than the status quo. Seems to make sense to me. 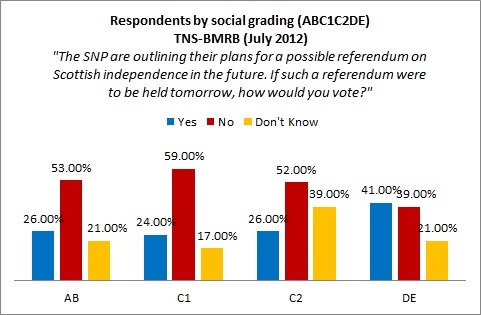 Certainly we mustn't forget that we have a lot of work to do to persuade people to vote yes, but as we have seen in the past, polls can change very quickly, so this poll suggests (but is not conclusive) that if there were a referendum tomorrow the no vote would win (which I would tend to agree with). However, this poll tells us nothing about what will happen in 2 years. I agree support is soft, it comes down to money to many. If you were guaranteed to be a grand better off a year would you vote to be independent. Would be 60% plus. If it said, you are guaranteed to be a grand worse off then it would be 20% or less. Prove people are better off, give them a personal oil cheque every year with their name on it and watch the numbers rise! Cameron: a willing actor in Salmond's drama?